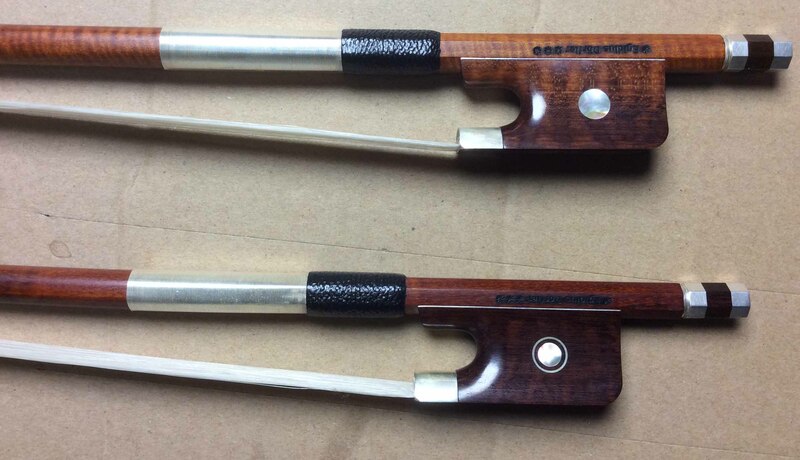 Pernambuco - Brazil wood Violin Bows"
New from Bernard Müsing creator of Arcus bows. Affordable, Lightwieght,responsive and effortlessly easy to play. Violin 4/4 carbon fiber with fluer de lis. Condition new Irradiant coffey colour. Travel bow/breaks down Made to fit into short case. you can expect the same from your bow. Here are some points you may compare when choosing a bow. 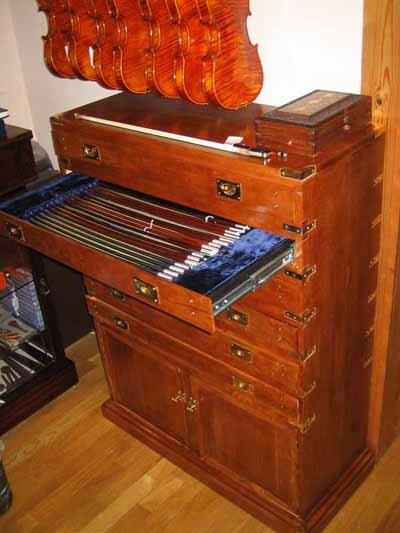 Perception of Weight, most violin bows weigh approx 59 - 62 grams. you are feeling is the balance. The bow should feel well balanced in your hand. all contribute to your perception of weight & balance. A good stiff stick should have the proper camber and will take about 150 hairs. A less stiff stick will need less hair to work properly. your grip and how comfortable it is. of your bow manship and the built in dynamics of a quality bow. different bows. You must also have a responsive instrument. particularly when changing direction at the frog end.